TomoChain, a South East Asia top public blockchain is developing a Blockchain infrastructure which is capable of hosting decentralized applications on top of it while Lition, a German blockchain project, is developing a layer two scaling solution that allows for privacy and deletability features when connected to a mainchain. Lition is a layer 2 scaling solution that was, together with their co-innovation partner SAP, specifically designed and developed for commercial mainstream use cases, with an emphasis on privacy features as well as deletability features in regards to the European GDPR regulation. It’s testnet is currently using Ethereum as mainchain, but Lition is aiming to explore a mainchain agnostic approach in future. Tomochain is a Blockchain infrastructure that allows for a highly secure, low latency, and near-zero fee transactional system. It is rather focused on the Asian market and is looking to expand its Blockchain use-cases amongst projects that can benefit from the developed infrastructure solution. Technical Integration: Lition’s sidechain solution has mitgitated most of the drawbacks from Ethereum, but still rely on it as mainchain for tasks like sidechain synchronization. This results in drawback whenever data finality is needed, which is technically cannot be guaranteed in Ethereum, and high transaction costs whenever a sidechain is anchored into the mainchain. So far, this made use cases in e.g. the finance sector or high-frequency trading in the energy space difficult. Tomochain offers a mainnet that addresses these drawbacks, while still being Ethereum compatible. Lition therefore plans to integrate Tomochain as an additional mainnet and thereby offer a solution for these use cases. 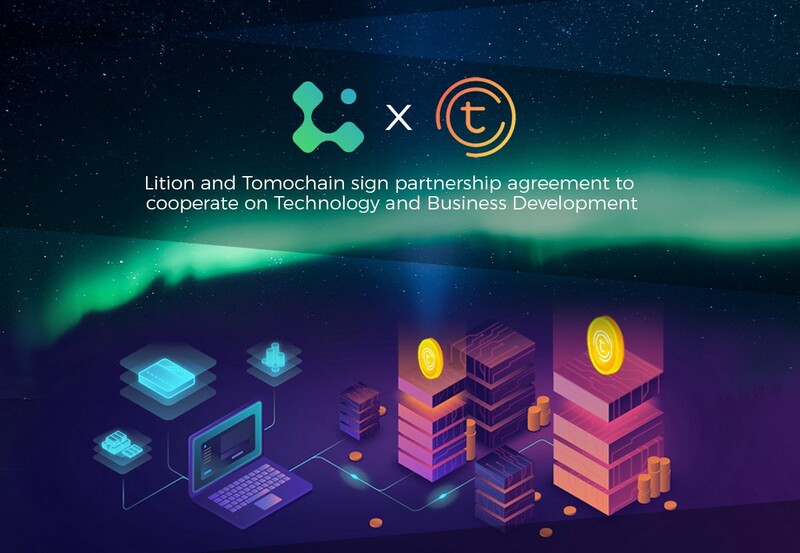 Business Development: Both Tomochain and Lition have an enterprise background and are now jointly look into offering a joint solution to tap into both parties’ strengths: Lition’s presence and connections in Germany/Europe, and Tomochain’s presence and connections in Vietnam/South-East Asia. Both can also provide consultancy/technical support for enterprises, such as advising them on blockchain integration and providing the required manpower to build platforms/systems for them from scratch. TomoChain CEO, Mr Long Vuong, said: “It’s our pleasure to be partner with Lition, who is a SAP’s partner. This is an opportunity for TomoChain to expand our Blockchain solution in Europe. We would love to work with Lition on their layer 2 scaling solution for commercial mainstream usecases.